At work I steer clear of birth underwater. 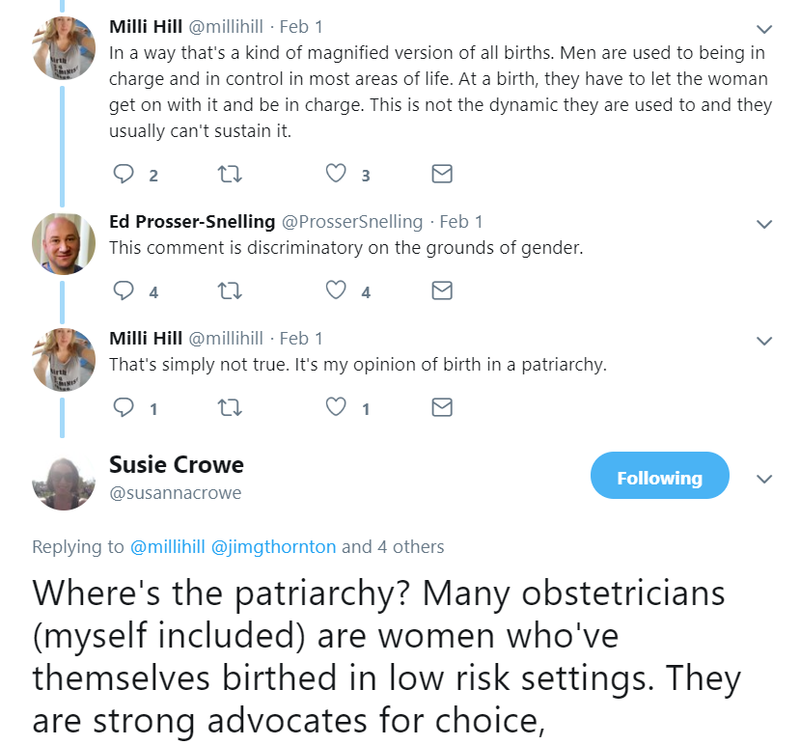 I disapprove, but disapprove even more at obstetricians interfering in normal birth. If asked, I give advice in the normal way but, despite practising obstetrics for almost 40 years, I’ve never witnessed one in real life. Some enthusiasts think that if people like me did, we might be converted. 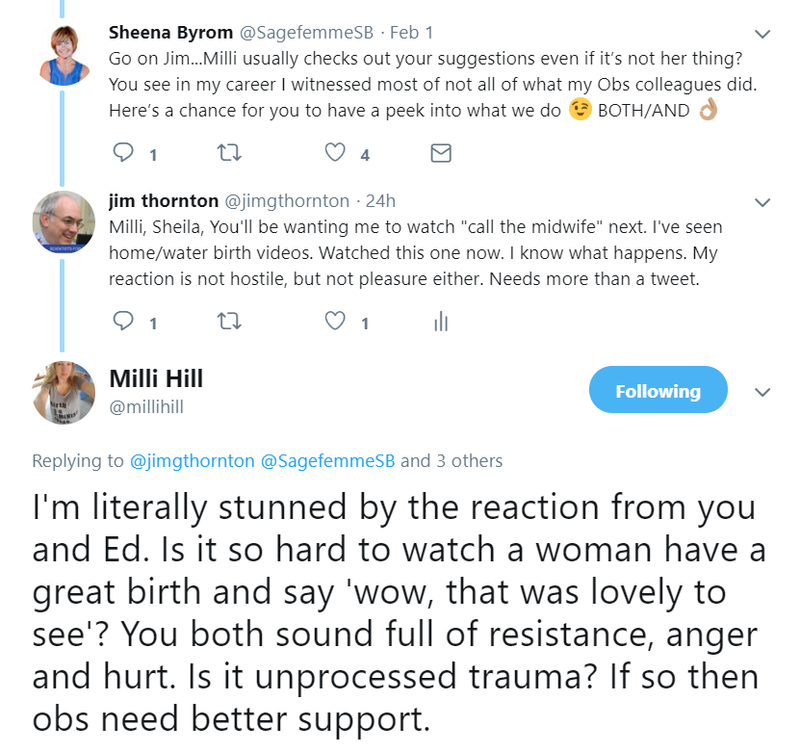 Recently on Twitter, Milli Hill, a journalist hoping just that, invited a few male obstetricians to watch this waterbirth video (click here). 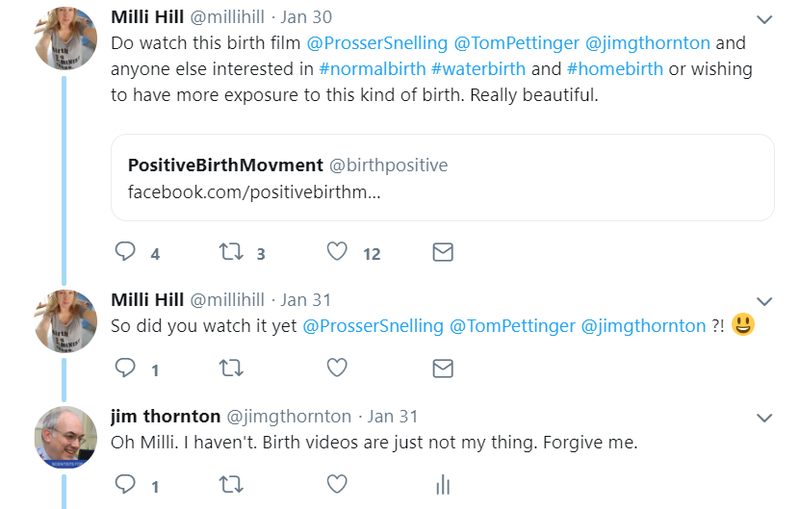 My reply that “birth videos aren’t my thing”, was a clumsy attempt to forestall an argument, but it and a couple of other similarly lukewarm responses seemed to have the opposite effect. 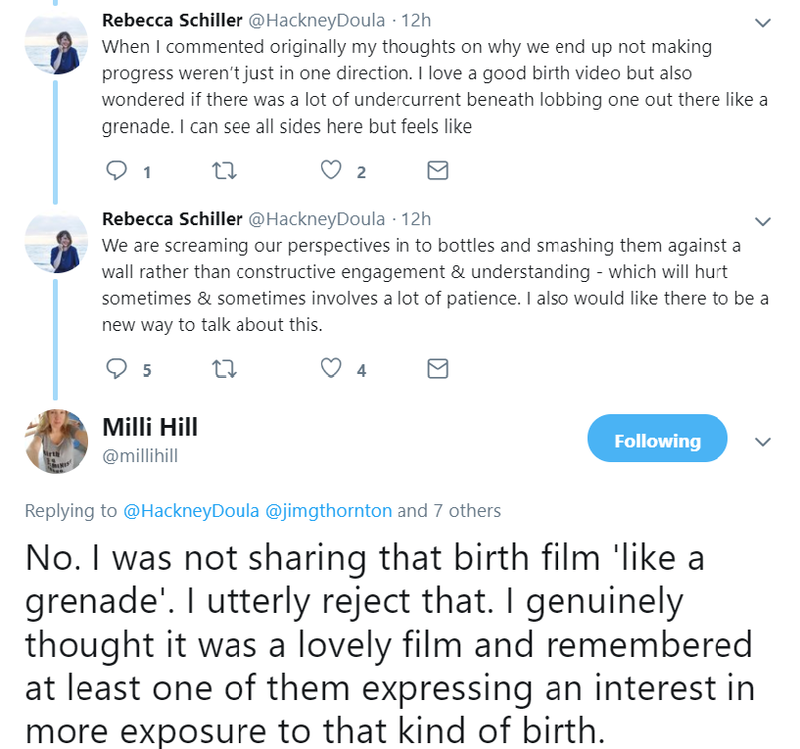 Discussion about water and home birth got conflated, obstetricians were accused of defensiveness, the patriarchy came up, someone shared an emotional blog about a stillbirth at home, and someone else talked of throwing a grenade into the birth debate. Poor Milli was both disturbed at our original refusal to emote, and shocked at the reaction to our refusal. I lay low. But the central issues seemed to be lost in the debate, so as the dust settles, let me try and explain. I’ve no issues with home birth, but still don’t watch dry land home birth videos. Hospital dramas and documentaries leave me cold. It’s not a control thing. It’s not the patriarchy. I rejoice when any woman gives birth safely without help. But caring for birthing women is my job. And for every birth attendant that means worry. We’re paid to appear calm and professional on the surface, but we’re also paid to check, anticipate and plan for trouble. I’d go so far as to say that if birth attendants don’t find their job a bit stressful they’re doing it wrong. I don’t just mean clinical worries about things like cord prolapse and abruption. Of course we worry about those things. But we should, and usually do, worry about everything else as well. A good home midwife, calming the partner of a woman in transition as dawn comes up after a long labour, also remembers that the rush hour traffic will make transfer slower if needed. 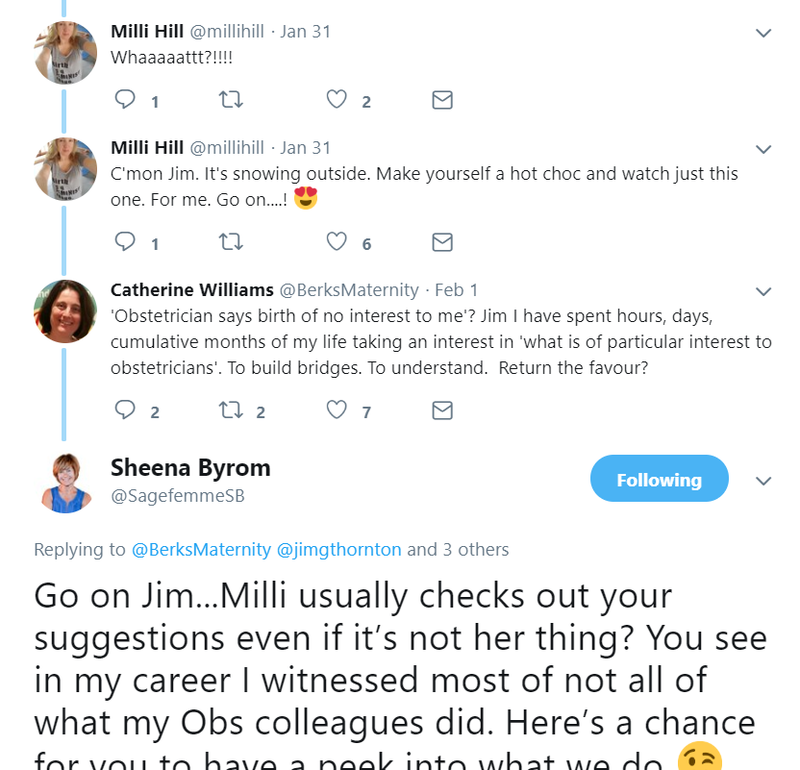 A good obstetrician, encouraging a woman to persevere with an attempt at a vaginal birth after Caesarean, also remembers the twins next door, and that the night registrar has called in sick and the locum is new. Others may view birth videos with pleasure but to me they’re a busman’s holiday. But why couldn’t I have faked it for Milli? Said: “How lovely!” and moved on. That’s because it was birth underwater. I have a visceral dislike of birth underwater. It’s a risky, almost evidence-free experiment with no underlying rationale (click here). Perhaps I’m over-reacting, but it’s one of the few things that makes me crosser than Brexit! And the video is propaganda. Not just the editing, soft music and beautiful photography, although there’s plenty of that. 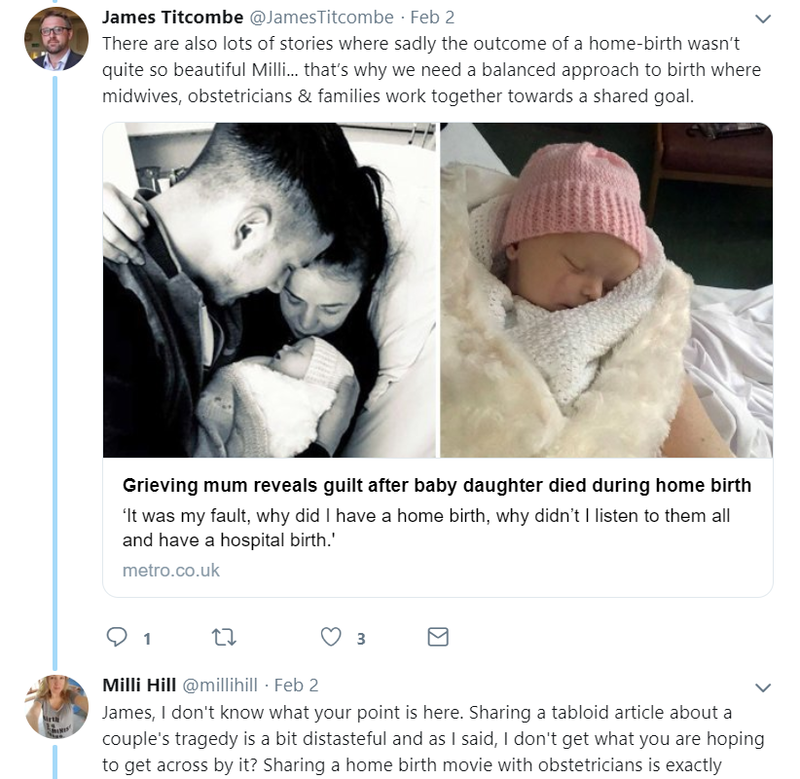 But the implication that a difficult first birth has been converted to a beautiful second one by being at home, in the pool, with family, friends and first child in attendance. We aren’t told much about the first birth but it seems reasonable to assume that it had ended via the vaginal route. Second births in such cases are almost invariably easy. 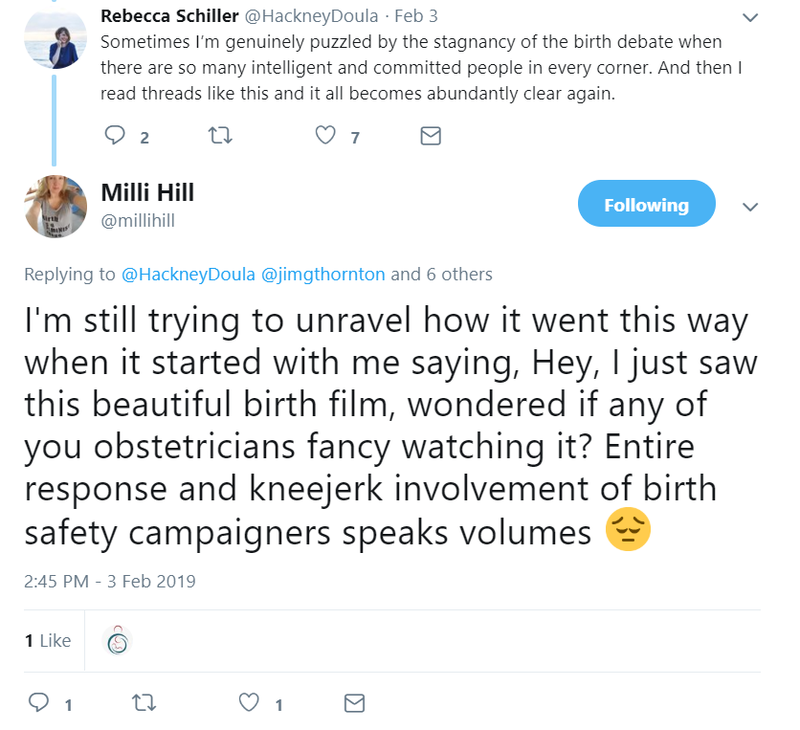 Yes the midwives were wonderful, home was a perfectly reasonable place to have the baby, and it was correct to not interfere, but the baby would have come just as easily on dry land, with no risk of water aspiration, intoxication or water-related infection. If I’d been quicker witted, I’d have watched the video and made an intelligent comment on the calm, efficient and discreet way the midwives went about their safety-critical duties – monitoring the water temperature, auscultating the fetal heart, checking for bleeding while the mother bonded, and that the clamp was correctly placed before the father cut the cord. See, I did watch it! All that impressed me a lot. I am delighted that such skilful midwives looked after her. But I have to be honest. I didn’t enjoy it. I don’t think birth underwater is wise. And this sort of video isn’t going to convert me. I understand you have an instinctual dislike of waterbirth. It is, indeed, not in human nature. We are not dolphins. However, very little of modern day maternity care approaches what happens in nature, and for good reason. Indeed, not much of our society conforms to natural laws. You speak of the risks of water birth. However, you offer no scientific support for your claims. Of course, it is easy to find some case report to sustantiate any claim one wishes to make on any medical subject. That is why larger studies such as RCT’s were invented. There is an abundance of well designed studies on water birth (I can send you the links). They show no harm to the fetus, and perhaps some small benefit to the mother, in the way of reduced need for pharmacological pain relief. More importantly, even if there was no benefit, as long as there is no proof of harm, should it not be the mother’s choice how she wants to give birth? Just as much as she gets to choose her location and birth attendant? 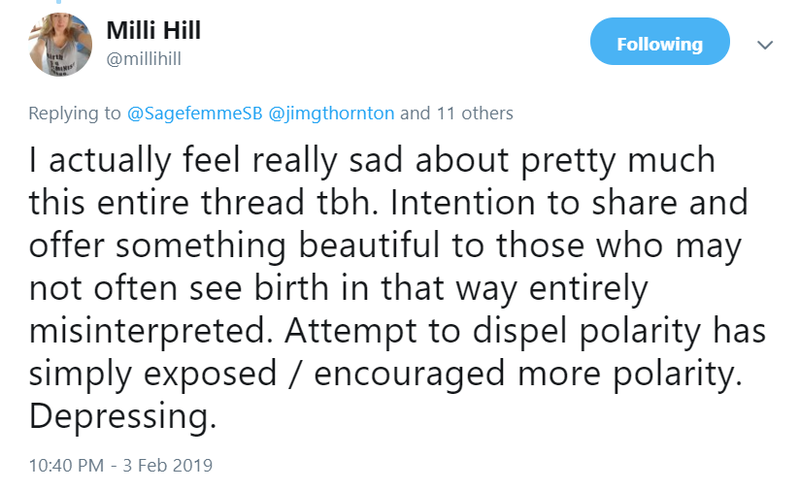 Some women who, for instance, have a history of sexual abuse, find the barrier a birthing pool provides very helpful in being able to feel safe enough to surrender themselves to the torrent that is natural labour. So, in summary, since it isn’t harmful to anyone, why not let them have it if they want? Thesis arrived yesterday Martine! Hooray!